The long-awaited flagship DSLR arrives just in time for the 2012 Olympic games. In our Canon EOS 1D X review we put the Canon EOS 1DX through its paces to see if it is an award-winning contender. The EOS-1D X’s 18-million-pixel sensor is relatively standard in terms of resolution – even Canon’s enthusiast-level models have 18 million pixels. However, it is the size of these pixels, thanks to the full-frame sensor and gapless microlenses, that gives it the potential to deliver better results than even the EOS-1Ds Mark III. The gapless microlenses mean less light is lost during capture, so the camera has more information to process and makes it less prone to noise. The resolution at its base ISO 100 setting delivers a solid 36, a decent score but one we would expect from such a sensor. As the ISO is raised there is minimal fall-off in detail, and even at ISO 25,600 the camera still manages to resolve up to 28 on our chart. These results are based on the raw files, processed using Adobe Lightroom 4.1. The JPEG files appear slightly softer, only resolving 32 at ISO 100 but maintaining detail through the ISO range and still reaching a score of 28 at ISO 25,600. The lack of noise is evident in the unprocessed raw files, with ISO 6400 images remaining impressively clean. 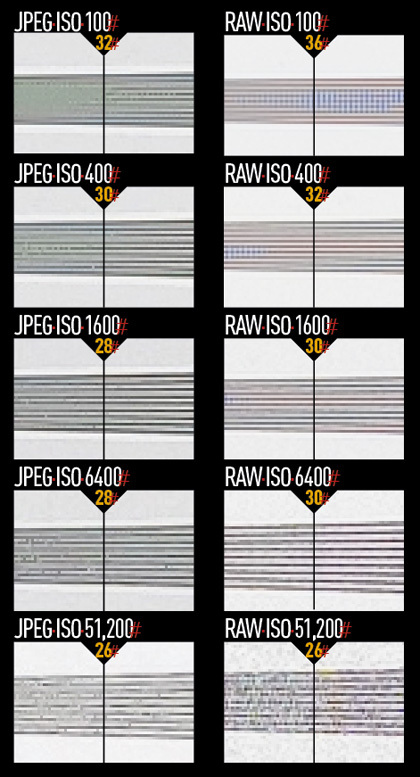 Some noise starts to creep in from ISO 12,800 but colour noise appears more prominent than luminance noise and is easily removed during raw processing. 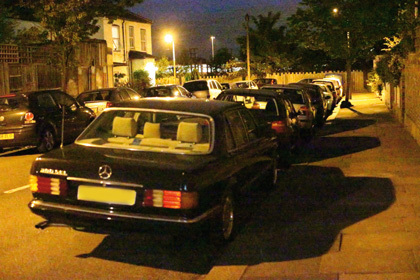 JPEG images demonstrate this clearly, although signs of luminance noise remain at ISO 51,200. The high settings of ISO 102,400 and ISO 204,800 show greater increases in noise levels, and the top setting especially is best avoided for critical work. Having these settings available is reassuring, though, especially when it is the difference between getting a photo or not, and the results are still better than the original EOS 5D managed at ISO 6400.